Be part of the only high school EdTech incubator partnership in the US! Experience hands-on engagement with working entrepreneurs, test products, conduct feedback sessions, and affect redesign. Develop entrepreneurial skills and competencies: collaboration, design thinking, critical feedback, and failure management. Job shadow with company founders. Visit university centers of business and entrepreneurship. Skills Developed: collaboration, design, critical feedback, managing failure. Take classes in painting, drawing, mixed media, photography, and ceramics, taught by experts. Visit famous art colleges such as RISD, art galleries, and art museums. Develop artistic skills: create a sketchbook, build a portfolio, and learn design techniques. We offer week-long camps for children ages 3-14 to learn and explore through sailing, kayaking, robotics, Nike sports camps, arts, theater, woodworking, cooking, sports and much more. Extended day options available. 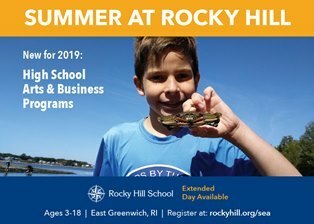 Athletes from the ages of 9 - 17 will have an opportunity to get affordable top-level training in the sport of their choice this summer through new programming at Rocky Hill School. 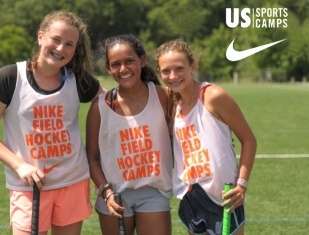 Nike Sports Camps are coming to Rocky Hill to offer a dynamic slate of camps in Field Hockey, Boys Lacrosse, Girls Soccer and Boys Soccer, as well as the Hide Tide Girls Lacrosse Camp. 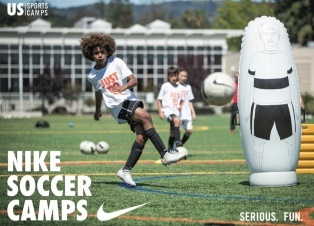 Campers will get the chance to work with college-level coaches for all levels of experience. Please contact athletics@rockyhill.org with any questions.